I am a Cameo collector. It’s such a fun collection, and it doesn’t take up much room. I am fascinated by the craftmanship that goes into each face. They are little pieces of art, tiny sculptures of mostly women. If you look thru a magnifying glass you can see each little sculpting mark. They are truly amazing and one of a kind. Just like us; we are one of a kind, created by the master sculptor.. I can’t help but draw a comparison. 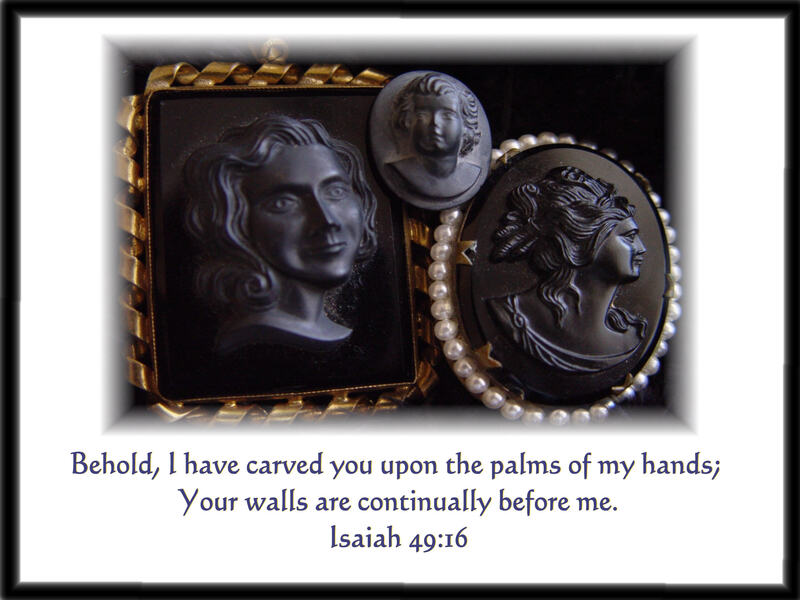 In Isaiah 49:16 The Lord tells us that he has carved us upon the palms of His hands. Our image is continually before Him. This just stirs my heart of the love our saviour has for each of us. I hope this little visual aid will allow you to never look at a Cameo in the same way. The ones that are pictured today are lava Cameos. Yesterday I woke up to the sound of songbirds in my back yard. It sounded if there were many, almost like a songbird celebration. I went to the door to look out and to my great delight, and surprise, the sky and trees were full of yellow birds. If I had to estimate there were at least fifty or more. The sound was so beautiful, and they all sounded so excited. 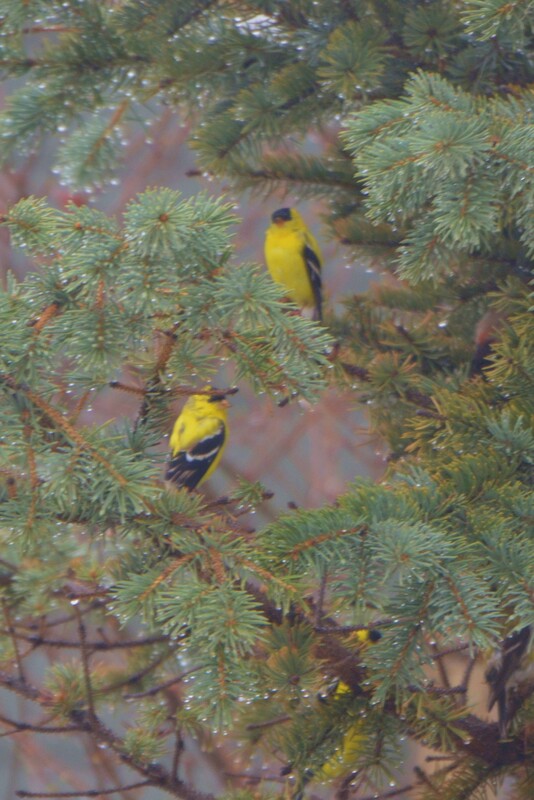 We were having a mix of snow and rain at the time and they were taking shelter in our trees. If you know me, then you know I was blessed out of my socks. Of course I ran for the camera and started clicking away. All the while knowing that this surely was the Lord that this migration or whatever it was stopped for shelter in my yard. Gods blessings come in many ways, but this one was soooo sweet. 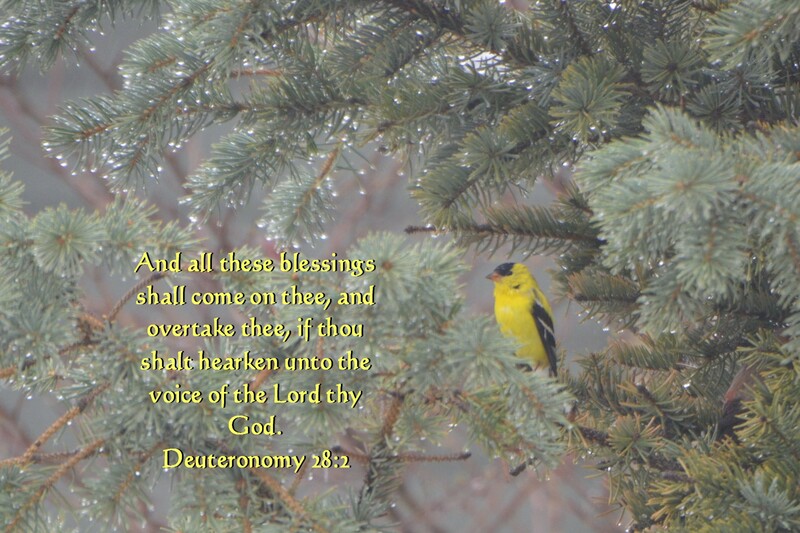 Here are some of the many blessings of God that will come on us all if we listen to the voice of the Lord our God. 1. Blessed shalt thou be in the city, and blessed shalt thou be in the field. 2. Blessed shall be the fruit of thy body, and the fruit of thy ground, and the fruit of thy cattle, the increase of thy kine, and the flocks of thy sheep. 3. Blessed shall be thy basket, and thy store. 4. Blessed shalt thou be when thou comest in, and blessed shalt thou be when thou goest out. 4. The Lord shall cause thine enemies that rise up against thee to be smitten before thy face; they shall come out against thee one way,, and flee from before thee seven ways. 5. 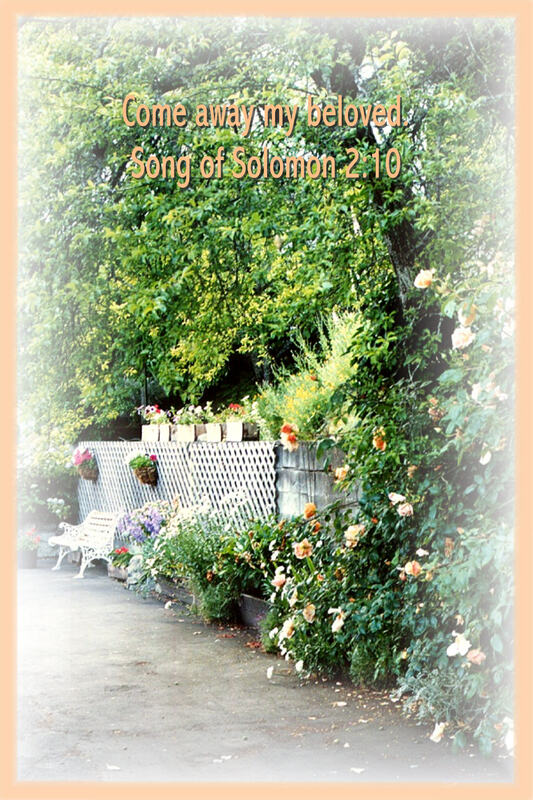 The Lord shall command the blessings upon thee in thy storehouses, and in all that thou sets thine hand unto; and he shall bless thee in the land which the Lord thy God giveth thee. Deuteronomy 28:3-8. If you want to hear about more blessings just read the entirety of this chapter. Click on the Photo’s to enlarge. We all have a taste of heaven here on earth, but nothing to compare with what the Father has prepared for us in heaven. A place is being prepared for us right now as I write. When our Lord returned to His Fathers house, He made this statement to all who would hear. 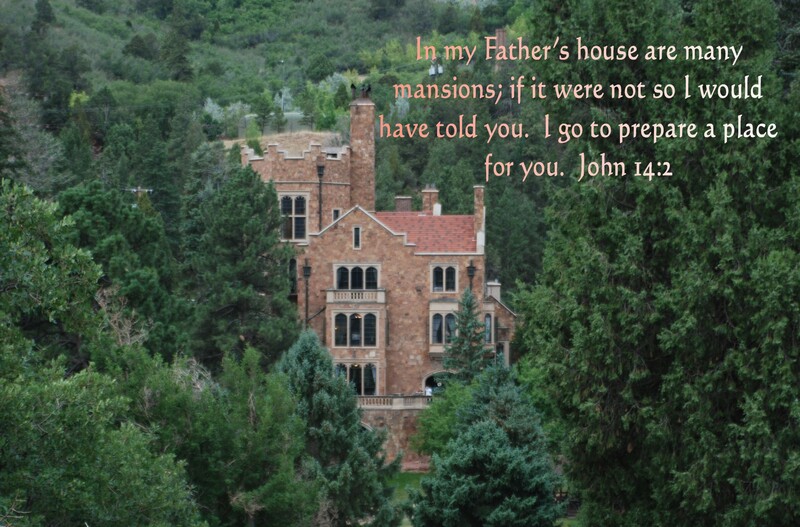 He said there are many mansions there. I don’t know about you, but I have always dreamed of a mansion. There are many mansions here on earth, but many of us here will never have one while here. We have so much to look forward to! I once read a book called Intra Muros, written about a womans dream of heaven. She told of seeing her mansion and even walking inside. The thing that really struck me was her description of the tiles of her floor. They were glass squares with living yellow roses inside. No death in heaven so the flowers remained perfect and were her favorite color. Can you imagine the beauty of such a floor, such a mansion. Honestly as profound as this sounds, I think it will be way beyond even that. This mansion in this photo is historic and is now owned by the Navigators. They hold retreats and training here. You can even have high tea in this mansion. It’s in Colorado Springs, Co. 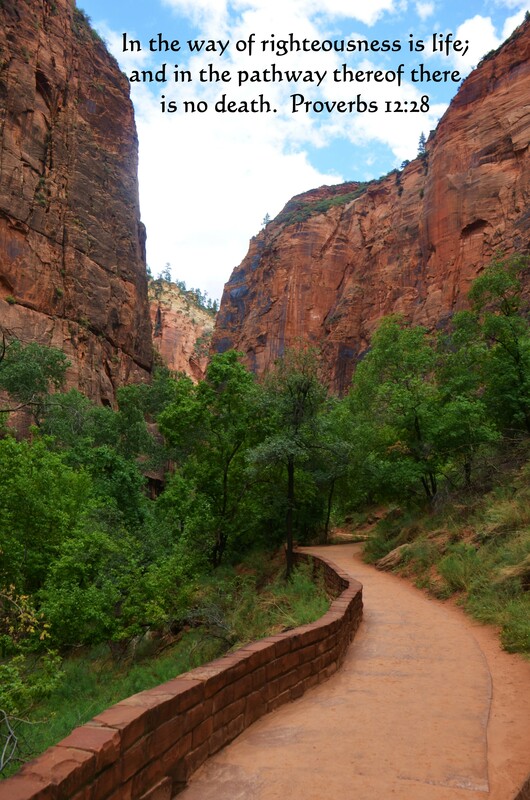 There are so many paths that we can take in life. I have taken many paths in my years. Paths that were good, and paths that would have surely led me to my destruction.. There were fun paths, and there were some very sad paths. All of this to say the best path I ever decided to take was the Path of Righteousness. Once I got on that path, I never wanted to go any place else. It is a path of safety and love. The Lord always goes before me on this path. He leads me and guides me as I follow Him there. On this path there is no death. Right now as I walk with the Lord, I have stage 4 advanced cancer with no cure and I am not afraid. There is nothing to fear when we are on the Path of Righteousness. I am experiencing sweet peace that only the Lord can give. If you want to walk this path that I walk. You must give your life to the Lord, tell Him you want to be His child and walk with Him. 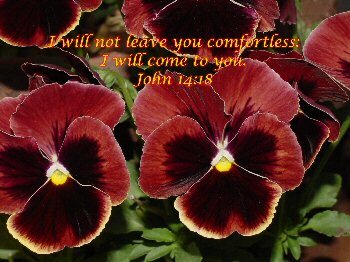 He will embrace you and set you on that Path of Righteousness. Posted on April 17, 2015 January 5, 2017 Categories UncategorizedLeave a comment on What Path Will You Choose?